If you are following this blog for more than a year you might remember this painting from last June. The posts about the painting are here and here. My art material supplier, Cork Art Supplies, are running a competition and I entered this painting. I was lucky to be selected as a finalist and the final decision on a winner will be based on the number of Facebook ‘Likes’. The finalists can be seen here. If you have the time to have a look at the finalists please do so, and if you feel I deserve a ‘Like’, I would appreciate it. Having said that, I hate competitions, especially for art related items. What each person likes or doesn’t in art is a personal matter and no one person is more qualified that the next to say what is good or bad. At least in this competition its a democratic decision by Facebook users. I know very little about how Facebook works, but I believe if you want to promote your work its a good place to be. Anyway, above is the final painting and here, and more importantly, is how it was done. See you soon. 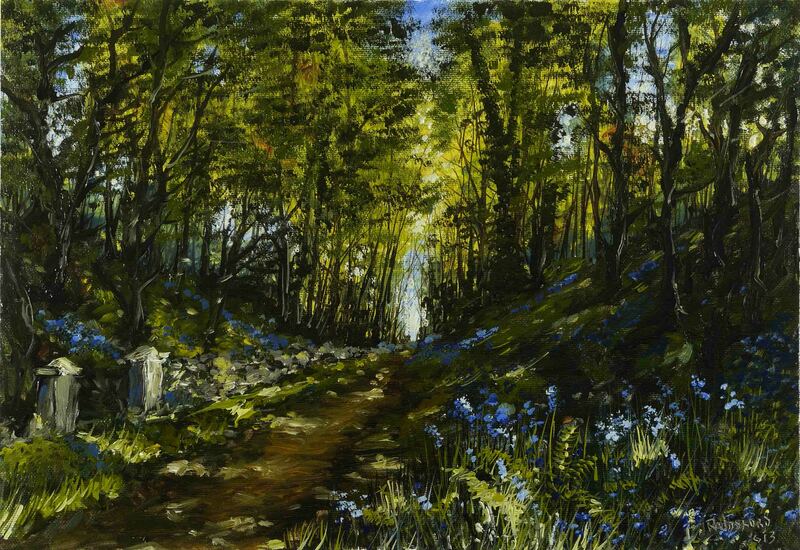 This entry was posted in Oil Painting and tagged Art, Culture, Education, Inspiration, Irish landscape, Oil Painting, painting, Pictures, Summer, Time lapse painting, Trees. Bookmark the permalink. Thank you Sheila for the ‘Like’. Best of luck, Liam! This may be my favorite of all. Brilliant! Thank you Pierr. Your support is much appreciated. Absolutely stunning. The positioning of the focal point almost in the center of the painting draws you into the painting in a very powerful way. I looked at the other paintings in the competition and this leaves them all standing. I’ll post on Facebook and wish you all the luck – you deserve it!